Buffalo Special Six | Ian's Tech Ramblings. Winter Draws on ("Oh err Missus"), as Frankie Howard would have said. The first of a few posts about clothing suitable for the outdoors in winter. Disclaimer my Buffalo gear was mostly given to me in the 1980's by Hamish who owned Buffalo. Yesterday I spent most of the day in the fields in a combination of wind, sleet and freezing rain. I was really cold and I am someone who doesn't usually notice the cold. I should have been wearing my Special Six. Buffalo gear has a pertex outer and a pile inner. 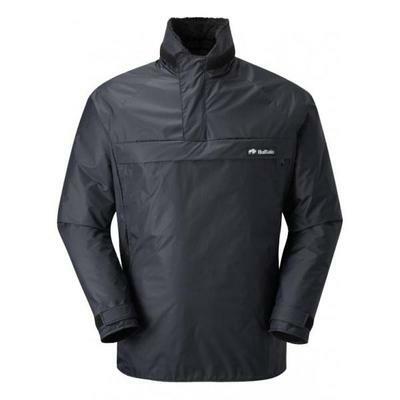 It is specifically designed for use in cold wet conditions. It's not waterproof in the conventional meaning.However, your body heat keeps the inner pile layer dry and the pertex sheds rain/snow. I have used it a lot in Scottish winters, where you go from freezing rain into driving snow as you gain altitude. I have never been cold provided I kept moving. I used it at home a few Christmases ago when it was -18C outside. Everyone else had about 10 layers on and was shivering. I had Buffalo salopettes and my special 6 shirt and was warm all day. The gloves are toasty warm, even when wet. The only downside to Buffalo gear is that it is much too hot in tmeperatures above freezing.